Also! 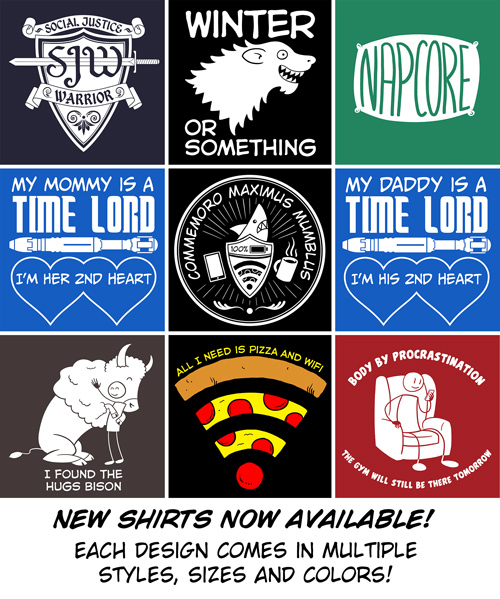 I have a new shirt store for you to check out. They only ship to the USA right now but hopefully that will change soon. Check them out!